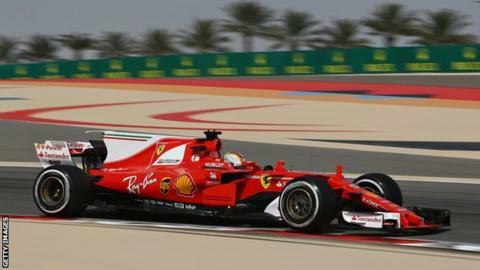 Ferrari's Sebastian Vettel set the pace in first practice at the Bahrain Grand Prix as title rival Lewis Hamilton was down in 10th for Mercedes. Vettel, who shares the championship lead with Hamilton, was 0.4 seconds quicker than Red Bull's Daniel Ricciardo. Hamilton was 1.9secs back in 10th, but his time was set earlier in the session and is unlikely to be representative. Ferrari's Kimi Raikkonen stopped on the track with an engine problem. Smoke poured from the back of the Finn's car as he pulled off after Turn 13, with Ferrari saying the problem was "overheating in the turbo area". Hamilton was 0.366secs quicker than team-mate Valtteri Bottas, who has vowed to make amends for the spin behind the safety car in China last weekend that left him sixth as Hamilton won. Both Mercedes drivers set their fastest times in the hottest part of the day, whereas Vettel's came nearly half an hour later. First practice in Bahrain is typically not reflective of the rest of the weekend as it is held in the heat of the early afternoon, whereas qualifying and race start at twilight and track temperatures drop dramatically after dark. It was an uneventful session, and only a harmless spin by Williams driver Felipe Massa punctuated the testing. Ferrari were not the only team to suffer an engine problem - McLaren's Stoffel Vandoorne also stopped out on track when his engine cut out. The Belgian had just completed his fastest lap of the session, 2.3secs off Vettel's pace. Team-mate Fernando Alonso, who it was announced on Wednesday would miss the Monaco Grand Prix to race in the Indianapolis 500, was eighth fastest, 1.675secs behind Vettel, setting his time shortly after Vandoorne's problem. Ricciardo's team-mate Max Verstappen was third fastest, 0.469secs behind the Australian, ahead of Force India's Sergio Perez, Massa and team-mate Lance Stroll, and Perez's team-mate Esteban Ocon. 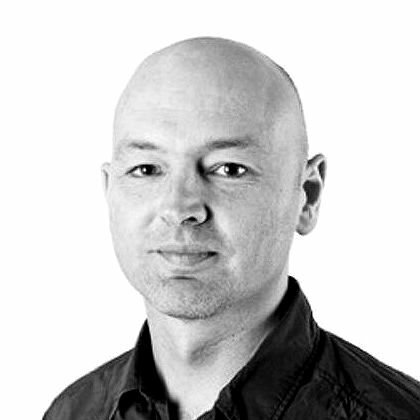 Read more on What next for McLaren-Honda?